POLL: Would you purchase a harness to fix TB-47/8 batteries?? 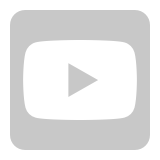 Hi guys, I am in the process of making a Youtube video showing the needed equipment to bypass the Intelligent battery circuit and let you FIX the TB 47 or TB 46 Inspire 1 batteries. As you can guess it takes a fair amount of money to make these parts and offer them for sale. I am interested on how many folks are wanting some way to work on these unique batteries and would like to save them if possible. Of course safety is paramount and some batteries should be retired and not used. But in many cases we have batteries that do not have very many charge cycles on them which develop a problem. This leaves us without a solution other than replacement. If the battery is under warranty, then DJI will replace it up to 6 months after purchase. Please vote and let me know if it is worthwhile to make these parts available to other users. 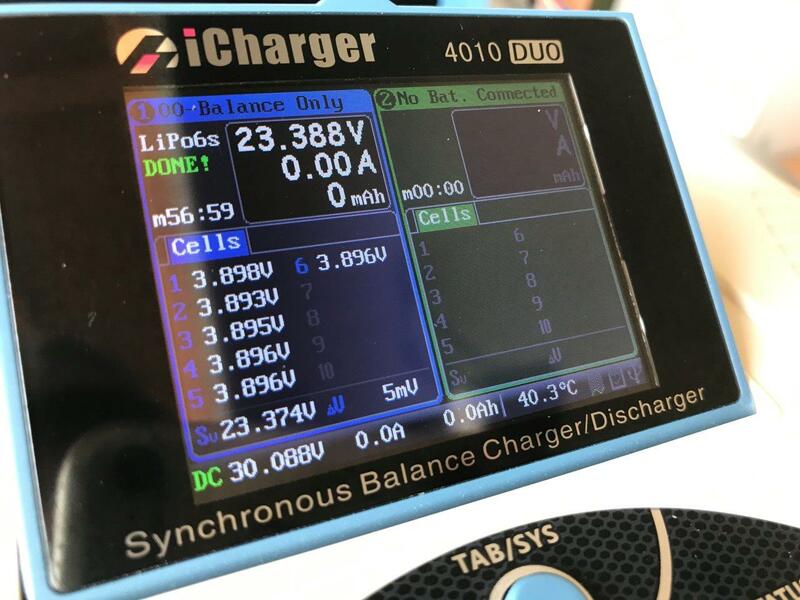 DJI charger will not charge the battery because of self discharge? 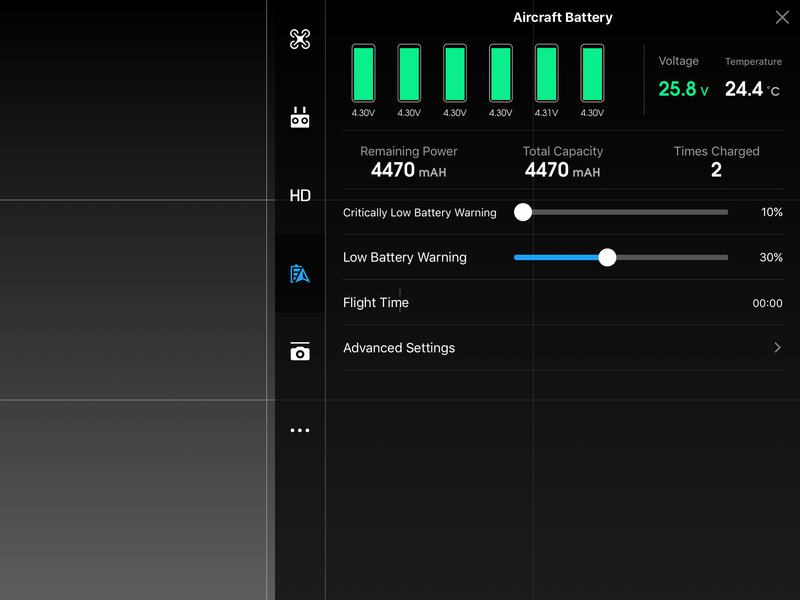 Want a way to balance cycle your battery independently of the DJI charging system? Some photos of a recent battery repair using my harness and connection idea to circumvent the intelligent brains. The battery is fully functioning now and saved the battery. how old are these batteries? 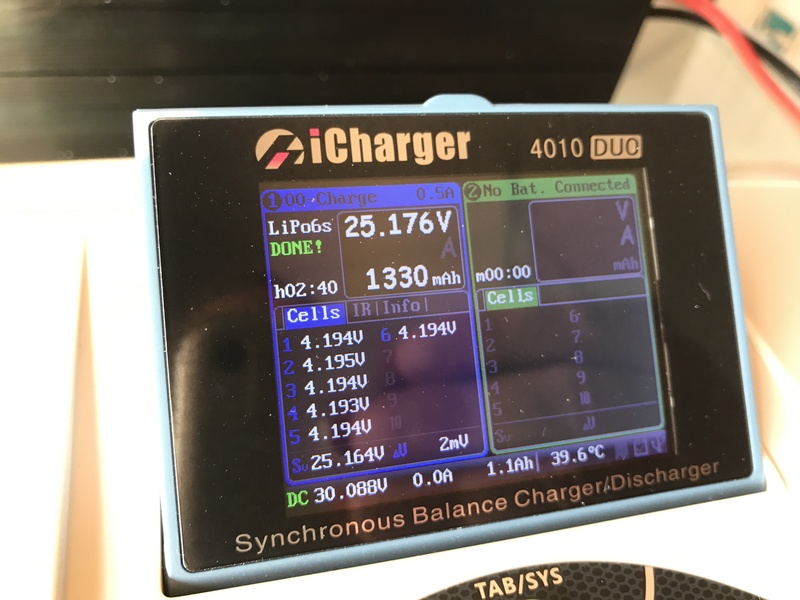 Approximately how many charge cycles? How long have been dead or low charge? I wish DJI would adopt this method of using a Smart Charger and go back to using a normal Li-Po battery. Would extend the life of these things a lot more like my normal RC planes and tools batteries. Too much electronics on the battery itself leads to all sorts of issues of it failing too soon, imho. Some of my decade old tool batteries have sat for a year unused and charge right back up again when I pull them out for a job. I doubt if the DJI batteries would do the same and become throw-aways. What exactly am I buying here and how much is it going to cost me? The wiring harness to connect to the top of the battery balance socket and the positive / negative power leads. The cost has not been determined yet because it depends on how many units will be made. 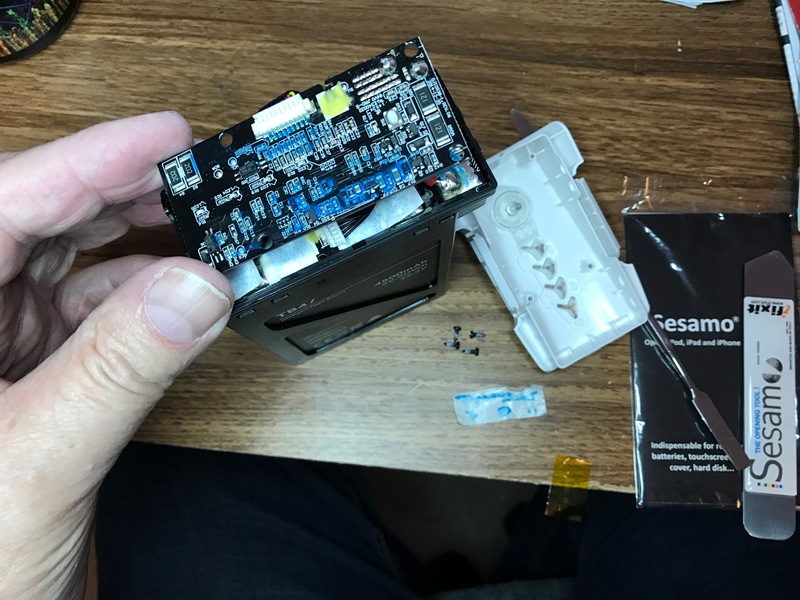 By wiring harness, you mean the wire ribbon connecting the battery to your icharger. The connector to the battery top is a proprietary one, I cannot find it in any electronic retailer. Yes, the harness that includes the socket with wires and balance connectors. I took over 2 months to source out these parts. They are not available in small quantities. If there is not much interest then, I most likely will let this idea drop. 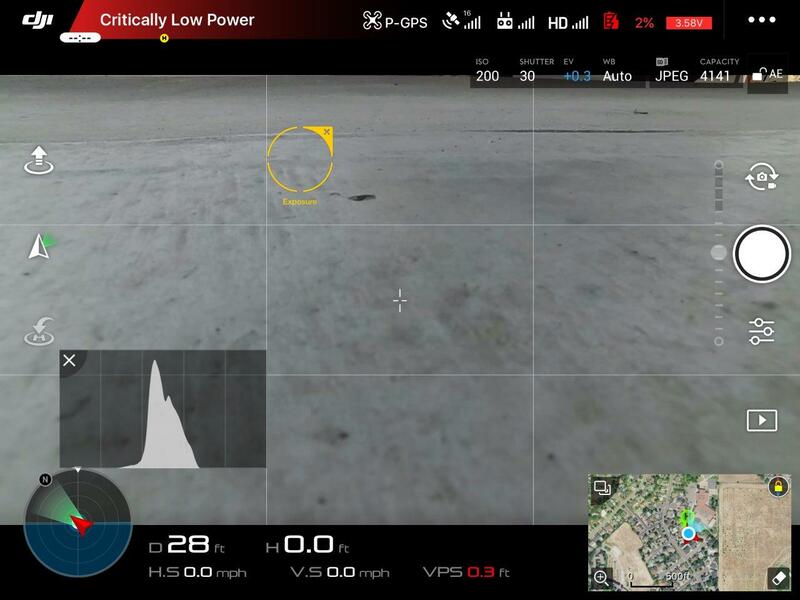 I am doing this as a favor to other Inspire 1 owners and not to get rich. So far it doesn&apos;t seem to be very popular. 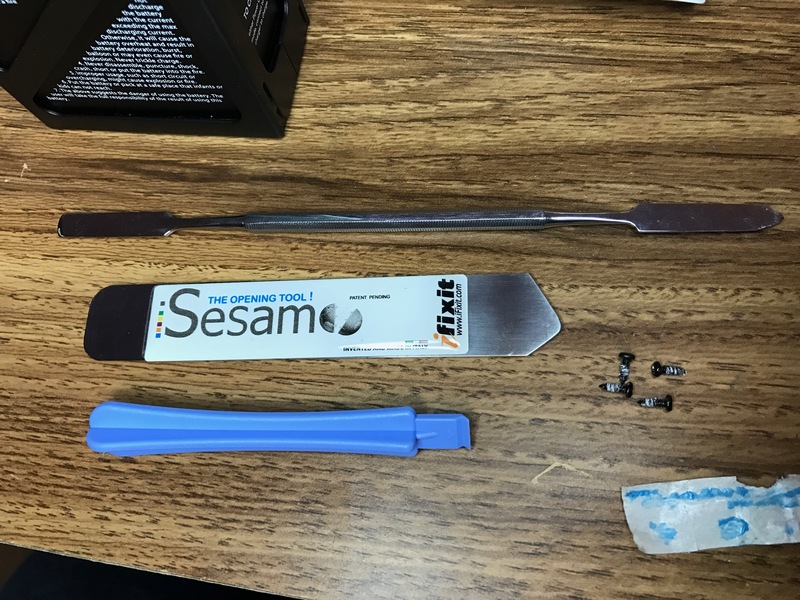 The main reason is the battery takes a small amount to skill and patients to get it opened up without breaking the plastic. Some of the guys that have skinned their Inspire have hydro painted these parts, which takes it apart even more than what is needed to manually charge the battery. Rich, it is really a good idea. 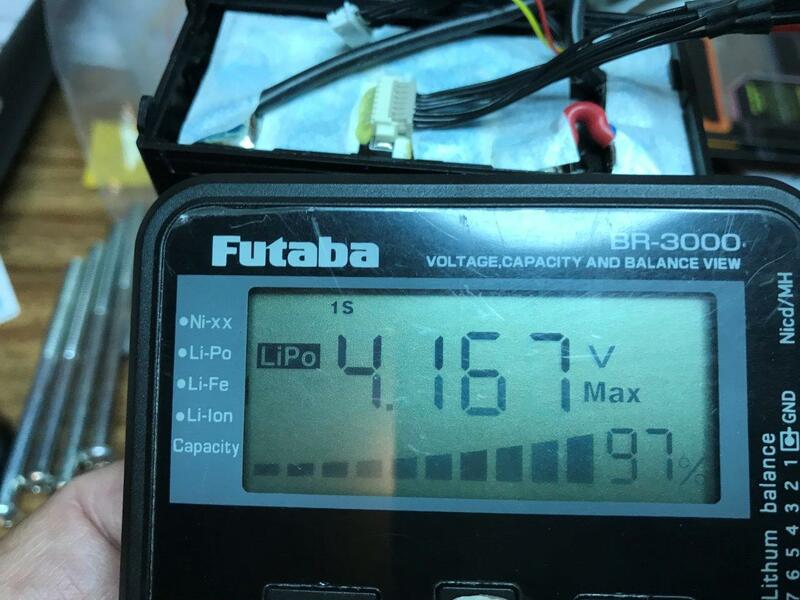 T47 and 48 are expensive battery, it is more than 50% of equivalent OEM lipo battery. I also find that the capacity is deterioring rather fast with every recharge. Not to mention hiccups on unbalancing cells issue. Throwing away unnecessary these batteries also is not a good idea. I will have 2 for my icharger. Didn&apos;t want to waste your time if they are to far gone.... but it is possible to fix them. 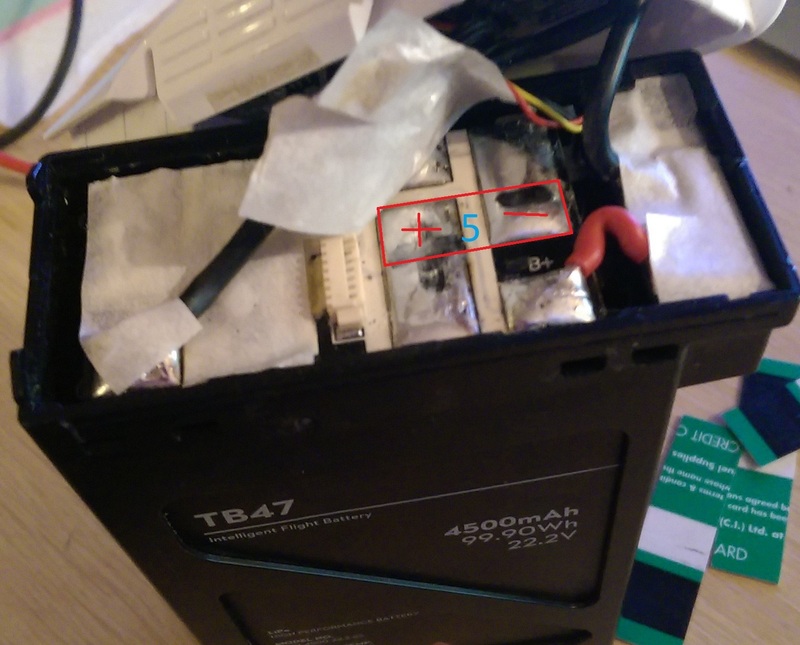 Cell 5 in my TB47 has a lower voltage than the rest, I can see your idea would help me out here but if I am going to take the top off my battery, I may as well just connect the DJI charger, via a couple cables and crocodile clips, to cell 5 and top it up, check it every 5 minutes or so with a multimeter until it has the same voltage as the rest. Am I missing the point here? 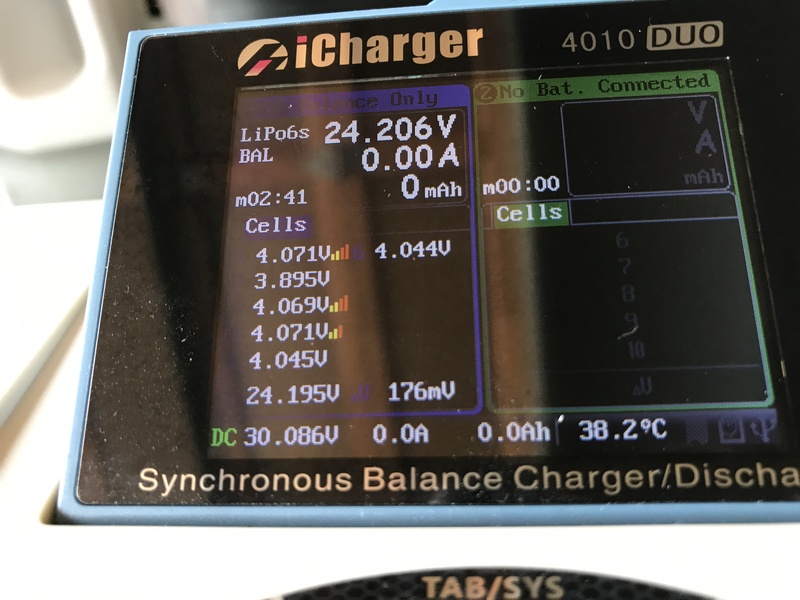 Dji charger will not provide the right voltage to 1 cell. It is charging 6 cells. You need a more sofisticated charger. 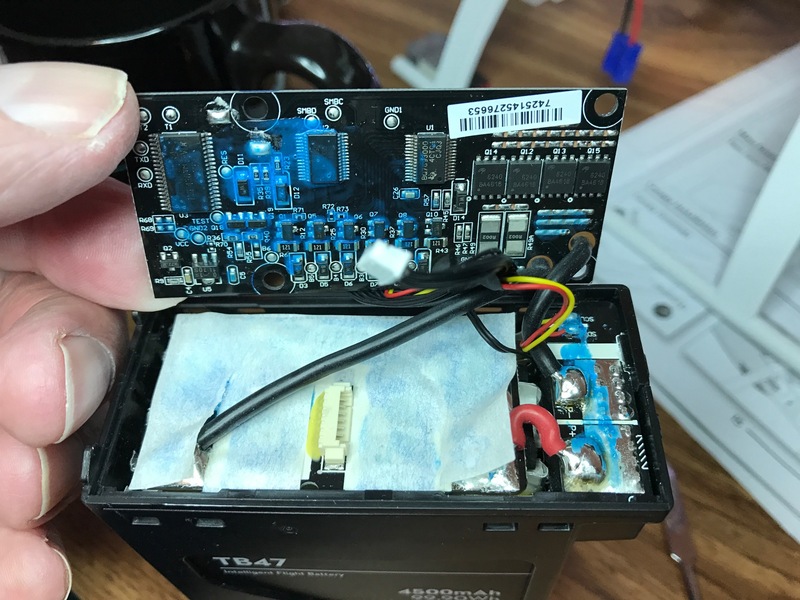 Yah I have seen some Youtube videos to get some charge back into a dead TB 47 battery using the DJI charger (power supply) directly to the top of the battery - & + power leads. The problem with this is you cannot monitor the cell voltage properly. You are dumping power into all the cells hoping to bring them up enough to get the regular method of charging to work again. This will not allow the cells to balance to the same level for all 6 cells. The Intelligent circuit is not smart enough (sorry DJI) to get a severely out of balance cells back in line with the others. 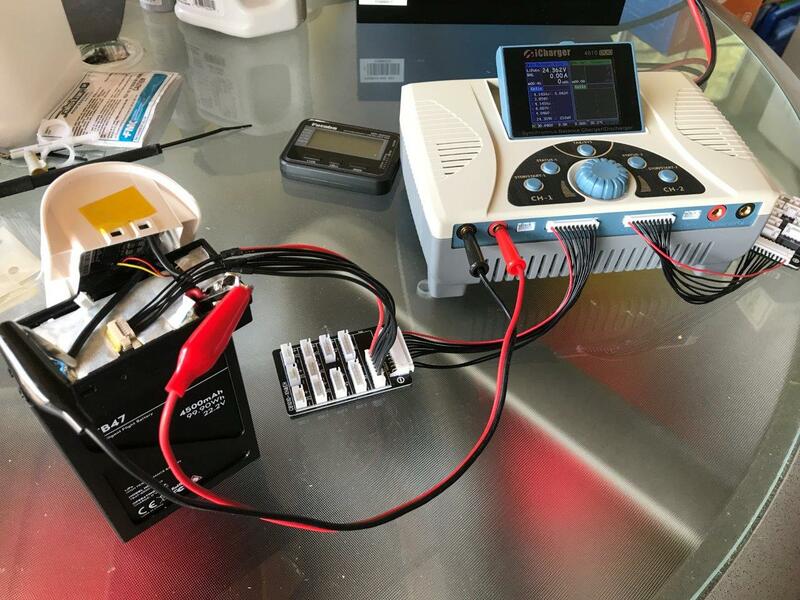 Stressing the Li-Po battery will degrade the charge cycle performance too. My example in the photos with cell #2 would not charge correctly. look at the voltage and cell capacity of the first three cells. Cell #1 at 97% cell #2 at 60% and cell #3 at 96% screen shots below. This is why I came up with the idea for the harness.. 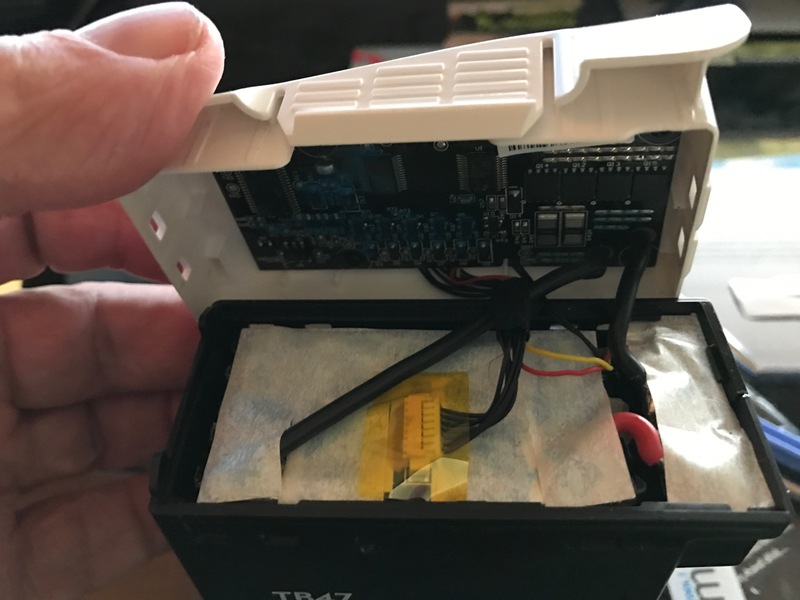 The other risk putting power directly into the top of the battery (without a balance lead), is all the cells will get the power if it is needed or not and could be unsafe or start a fire. Putting excessive voltage / current into a cell without regulation can cause the cell to outgas into the sealed package that will cause the battery to swell or puff. I was thinking more along these lines. I have now taken the top off and taken a reading of all the individual cells. 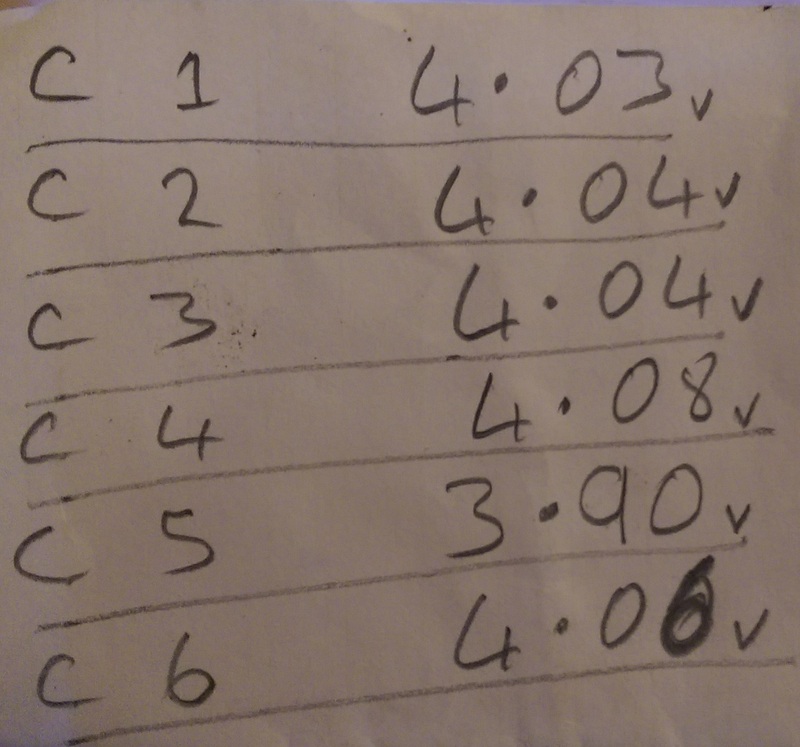 As you can see, the voltage in cell 5 is lower than the rest. The plan is to connect the DJI charger to cell 5 only, checking every 5 - 10 minutes until I get the voltage up to the same as the others. If anyone can see a flaw in my plan, please let me know sooner rather than later. Top photo didn&apos;t stick. The DJI charger (power supply) is really not designed to be used like this. I am not sure that this is a good idea. I strongly believe it is better to discharge the high cells to match the low one and then charge all the cells back up together. I know that others have tried putting power onto the whole battery pack, but you are trying to just charge one cell..... I respect what you are trying to do, but it does not appear to be safe endeavor. Wise words Rich. Obviously draining the other 5 cells would take longer but safety would be the key factor here. Any suggestions on how to drain them safely. I&apos;m thinking of pulling a motor from one of my old RC heli&apos;s (blades off obviously). The more I look into this, the more I&apos;m thinking your harness would be a good idea, I&apos;m still going to do this the stubborn donkey way but the next time I have a cell out of balance, I may be calling on you. 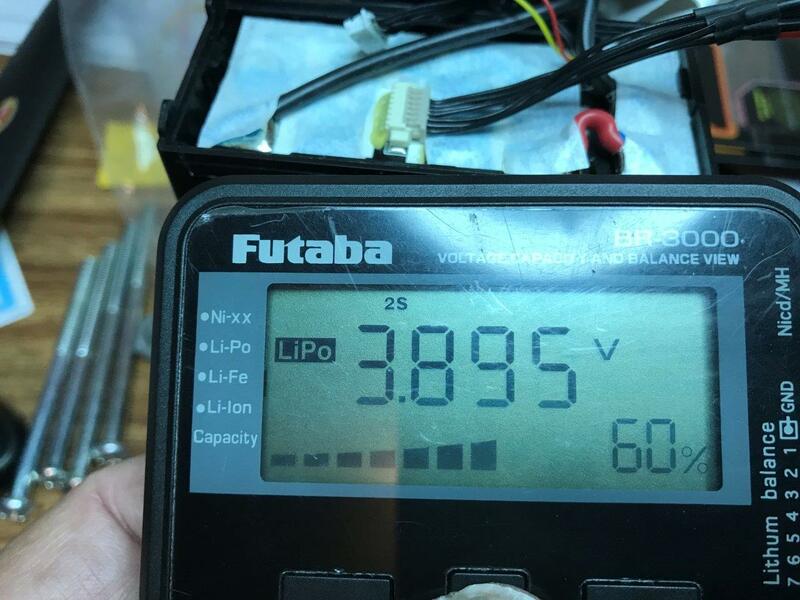 If you possess LiPo charger (preset constant current say 4A in first phase, then constant voltage 4.35v in second phase) capable of charging as low as 1 cell, i think it will be safe for you to charge Cell 5 from 3.9v to 4.04v within the C.C. first phase without entering the second C.V. phase. You will have a nearly balanced battery, and can by then restore the battery back. 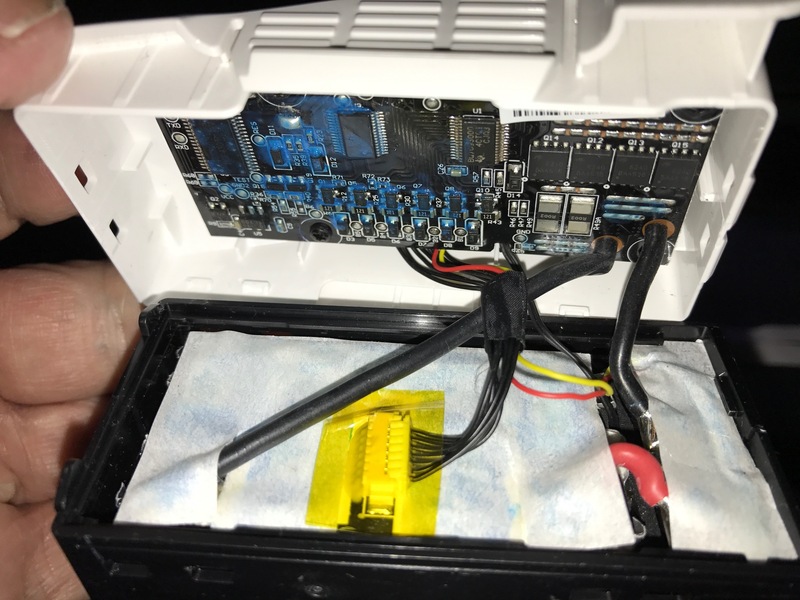 Just let DJI&apos;s intelligent battery circuit to finish to topping out. Of course safety comes first - doing this outside will cause no harm. Thanks Henry, I think I&apos;ll try draining the other cells though. Rich&apos;s idea is getting better and better the more I think about it. 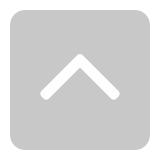 This example is with the top cover removed (which is more than you need). Please remember that if your battery is under warranty, do not take it apart, contact DJI support. Also, this is not for everyone and requires safe practices and caution. I will too......I use to fly RC helicopter and had all that equipment ...but the 2014 flood in Pensacola took all down the river so thats when I got into the drones.....but i will send battery to be fixed by a pro. Rich, how much longer do you think the batteries are going to be available? Dji Mindy said she didn&apos;t think they were even making batteries for the Inspire 1. Kind of hard to believe with many online stores still having multiple models available for sale. Would make no sense to me to stop producing the most important part to keep the bird flying, especially how expensive they are to begin with. If auto makers dropped support for cars they no longer produce, I think they would go out of business. These aren&apos;t exactly a cheap toy when you have several thousand dollars invested. I had not heard this rumor yet. That would be a big mistake by DJI. Many Inspire 1 owners out there need support for these great flying aircraft. 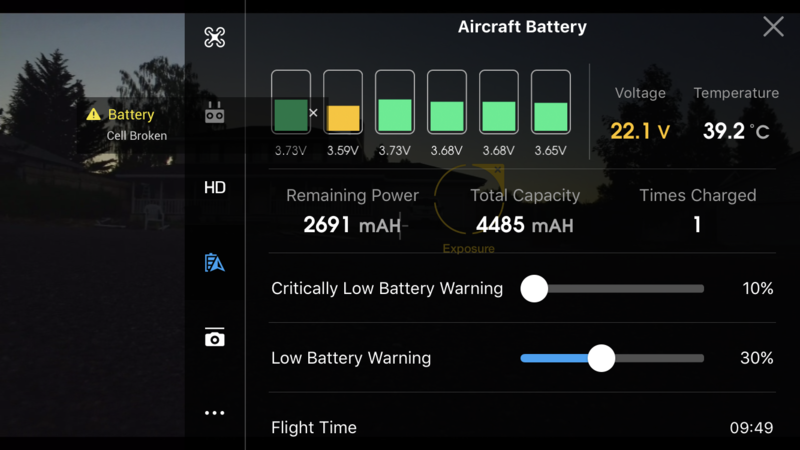 DJI has the only battery in town and no third party parts are accepted by the Go App. Plus DJI is still selling the I1 on their website. I understand this is not for everyone, sorry to hear about your loss my friend!! 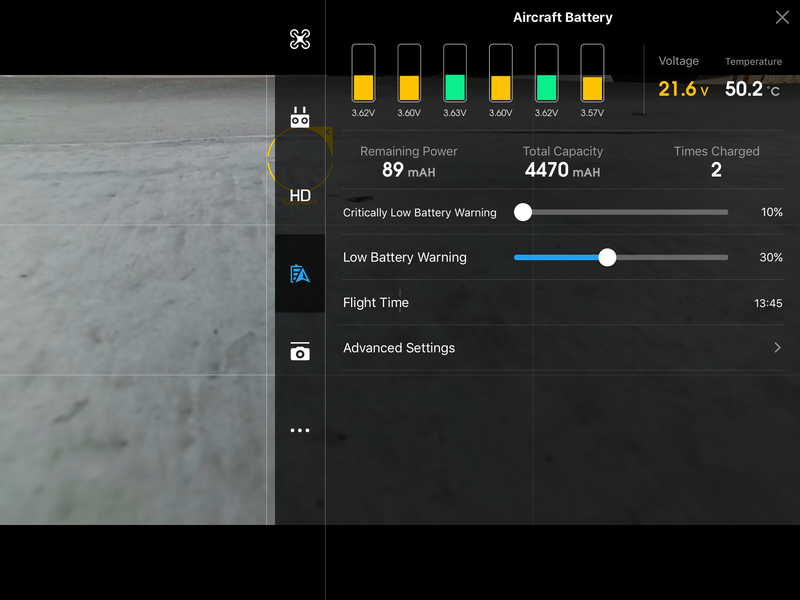 The battery above in my first post is heathly again and tried it today in my Inspire 1. Worked wonderfully for about 14 minutes. I landed and took it down to 2%, this way I could let the Intelligent circuit reset. I wanted to see how close the cells were as the battery discharged too. in the end they were within 4 microvolts and I am happy with that. Tomorrow we have the big eclipse in Oregon. I will be flying my Inspire 1 with this battery to take some video of the event. I will be using my darkest ND filter (ND32) and see if I can get something? How do you get it down to 2%? Mine shuts down long before then, and the motors won&apos;t come on. I can let the Inspire stay on, but it takes quite awhile to get it down to even 5%, after the motors shut off. Just leave it on, run the camera... go into the Go App editor and look at the photos etc... anything to help run down the battery. It&apos;s all charged up and looking good again. 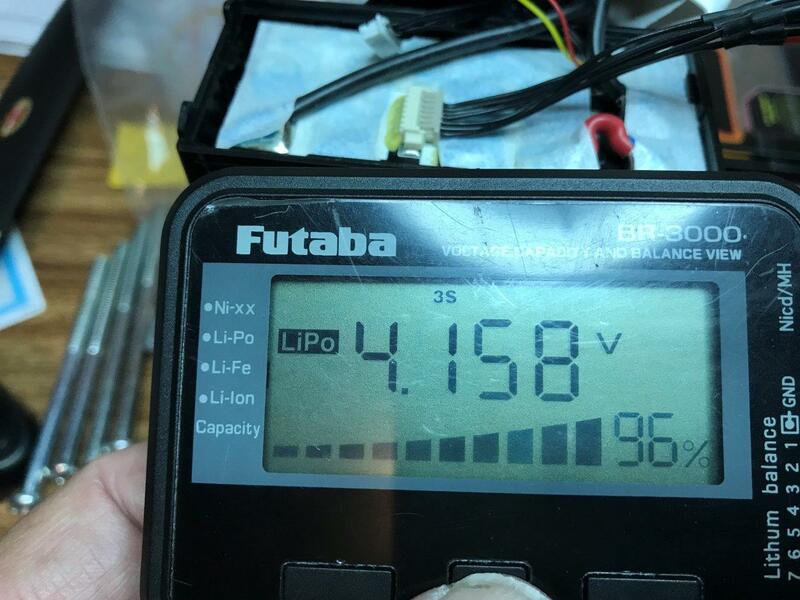 Within 1 microvolt 4.31 per cell ... very happy with the results of the balance harness approach so far to repairing the battery. I am having fun with my Bird. I am working on getting my commercial license, and doing some Realestate photos. I will be able to retire from UPS in less than two years with a pension, but will be to young to touch my 401k or other savings, so I will need to make a little extra cash. I have to give this a shot before I resort to getting a regular job. I want to be up and running by the end of the year. We have a strong Realestate market here in Florida, and have checked out online to see who else is doing the aerial photography in my area, and spoke to a few agents I know. They keep telling me that there arent enough licensed drone pilots in the area, so we shall see. Whats the worst thing that can happen? I buy more toys, and am stuck using them for pleasure. Sounds like a great plan... hope it works out for you. Either way you will be having fun. Already have back problems, bad discs lumbar spine. Nice Job on this Captain Rich , well thought out and explained , I love it !! Hi Rich, it seems that you are now in production. I am in Australia. What would the cost be getting this cable connection made? Want to get 5 sets.